Branson Fishing Guide Service wants to welcome you to our Branson Lakes Table Rock Lake – Lake Taneycomo! 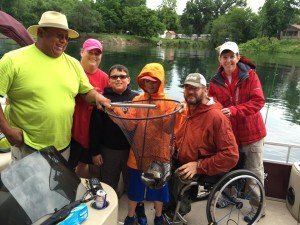 Branson Fishing Guide Service can offer some of the best guided fishing the state has to offer! We guide from One client to 6 and have access to 2 to 15 guides to cover all size of groups and companies events. Let us show you the Tricks of the Branson Lakes Table Rock Lake – Lake Taneycomo with over 20 years of tournament fishing and guiding experience I can teach you all of the tricks and techniques to fishing deep clear waters of Table Rock Lake and the cold clear Trout waters of Lake Taneycomo in complete comfort with our larger pontoon guide boat within a short cast of Branson Missouri. Branson Lakes Table Rock Lake – Lake Taneycomo offers has some of the best deep clear water fishing in the United States rated one of the top 10 lakes in the US for Deep Water Bass of all types, like Largemouth, Small Mouth, Spotted Bass, Mean Mouth, White Bass with the use of artificial baits and live bait. Table Rock Lake Bass Fishing is year round from early to late Winter A-Rig fishing to Mid-March for our pre-spawn stickbait fishing, April for our spawn, May for our post spawn topwater fishing and great Small Mouth Bass fishing and June through December for our deep water fishing bite, families can enjoy the summer deep water drop shot fishing with live bait for Bass the whole family can have fun catching our spotted bass in deep water! Table Rock Lake also has a great Crappie Season in the late winter and early spring – Mid February to end of March for some of those 14″ pan size Crappies on tube and jig’s or live minnows up in the rivers on both of side of the lake in Missouri and Arkansas. Table Rock Lake also offers Spoonbill Snagging for the strong of heart and arms spoonbill fishing (opens March 15th) for a chance to snag that 100 pound spoonbill up the James River, to a great White Bass bite in Spring on topwater and Summer on spoons. 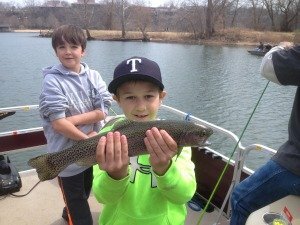 Lake Taneycomo in downtown Branson Missouri is my Family fishing fun hang out for all ages and offers a first class year round trout fishing river for everyone! Branson Fishing Guide likes the easy laid back way of fishing for trout, we use ultra light spinning rods and light tackle to cast at schools of trout or drift over with current running these same trout schools. 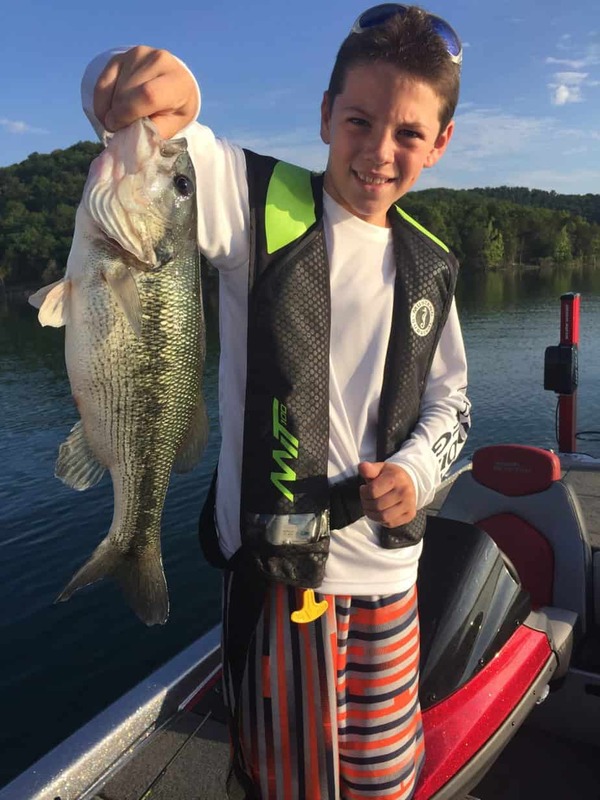 Lake Taneycomo is best for families or customers that just want to catch alot of fish, enjoy the outdoors and have a fun day in total comfort! We will fish from Up river if needed towards Short Creek and all the way down the river toward Branson Landing Area. package your catch so you can return and have that fresh Rainbow Trout dinner that evening! So book that day on Table Rock Lake or Lake Taneycomo for yourself or bring the whole family out fishing for the day. 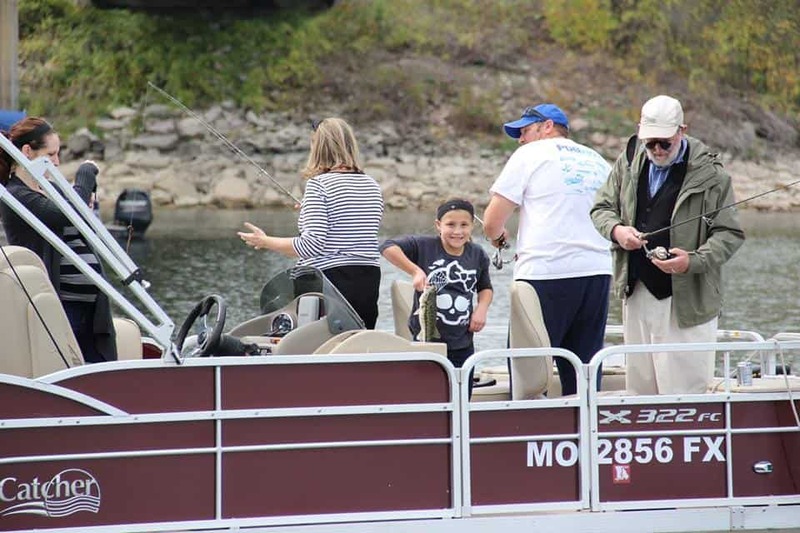 Just when you are ready to book your family fishing adventure give Branson Fishing Guide Service in the Branson Lakes Table Rock Lake or Lake Taneycomo and let’s get you a date booked! Branson Lakes Table Rock Lake – Lake Taneycomo ready? Call us (417)-270-7157 to book that trip, we will do the rest.